If you’ve ever had the pleasure to work with or engage in conversation with the amazing people at Layton Construction, one thing becomes clear very quickly. This company has a commitment to integrity, hard work and treating people and projects respectfully. Not only that, but their quality of work is spot on. Partnering with them as both our client and general contractor is an absolute treat. We believe in designing for a company’s business drivers and long term goals and the initial conversations with the team involved discussions on progressive office environments, open landscapes and generations in the work place. These conversations led us to space plans that eliminated all private offices, a big shift for a company with both young and very tenured employees. It was essential to create what we like to call ‘trade off spaces’ or enclaves for private conversations, heads down work, small meetings or personal calls. Basically if we take something away like private offices, we are absolutely going to give something back so people are still able to work comfortably and efficiently in any required setting. Equal to our love of color is our love for natural materials. 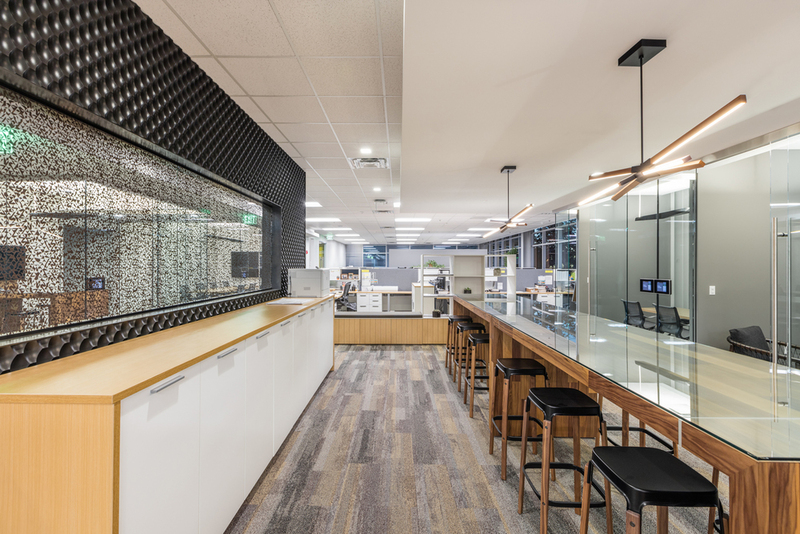 Inspired by the work Layton does in the construction field, we played off natural and raw building materials and an overall color palate that spoke to this concept and began to redefine their branded space. 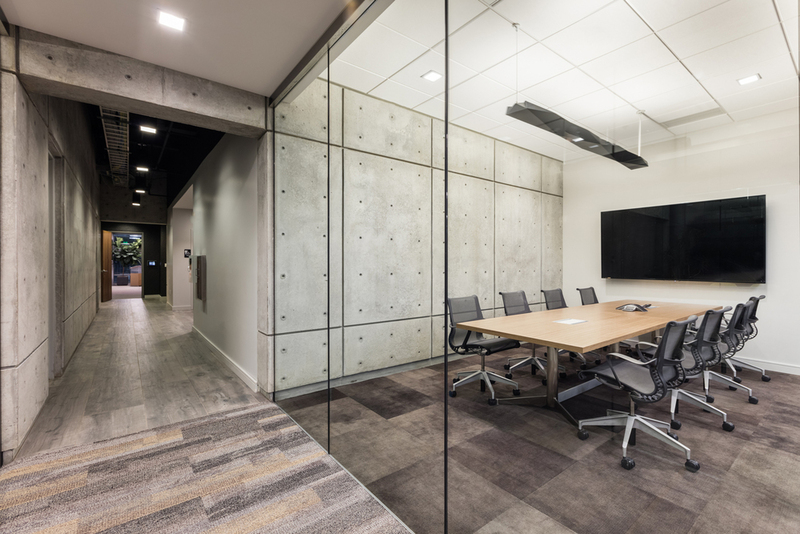 Working with a company that is committed to quality service and quality construction we paid special attention to meticulously selecting materials and finishes that reflected these values to their clients and industry partners. Every finish and detail was carefully thought out and all tied back to this intent.